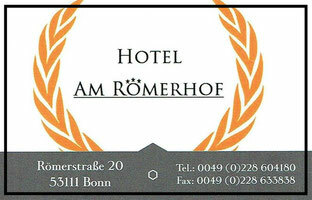 Our Rooms - 1500569782s Webseite! Once you checked in, the only thing left for you to do is relax and enjoy your stay. Use our hotel as a starting point for your adventures in Bonn and its neighbourhood. All of our rooms are equipped with a TV and a desk. 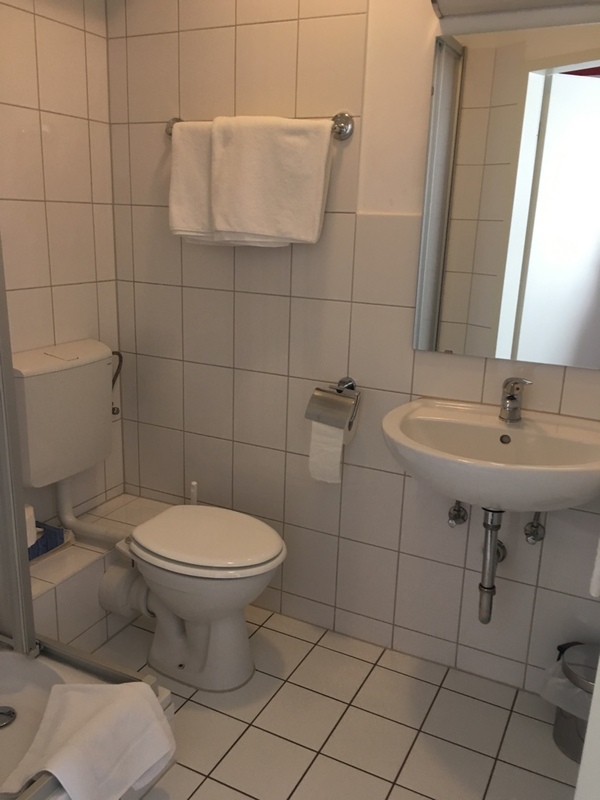 In your private bathroom you will find a hairdryer, shampoo and soap. Special Requests? - Let us know! The only way you sleep safe and sound is with an open window next to you? 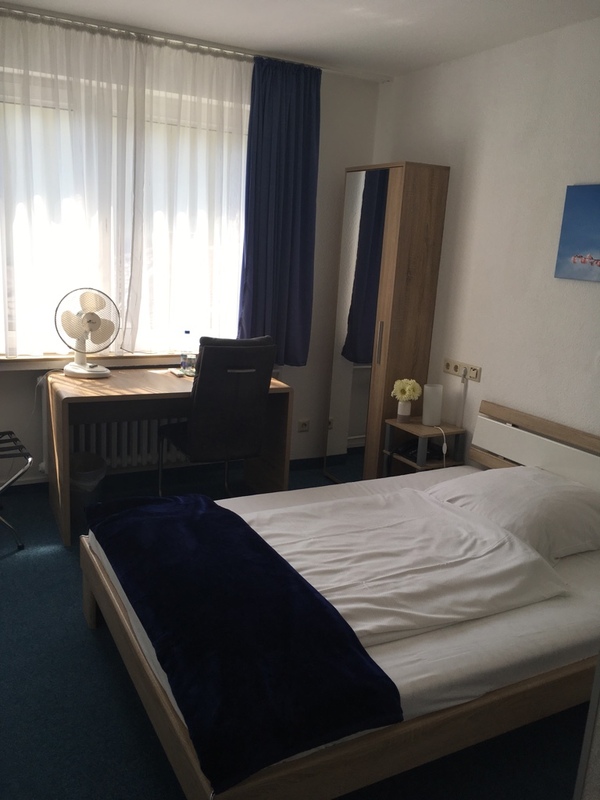 – We offer you a quiet room facing the backyard! Climbing stairs is not your kind of workout? – We book a room for you on first floor and are happy to help with your luggage! 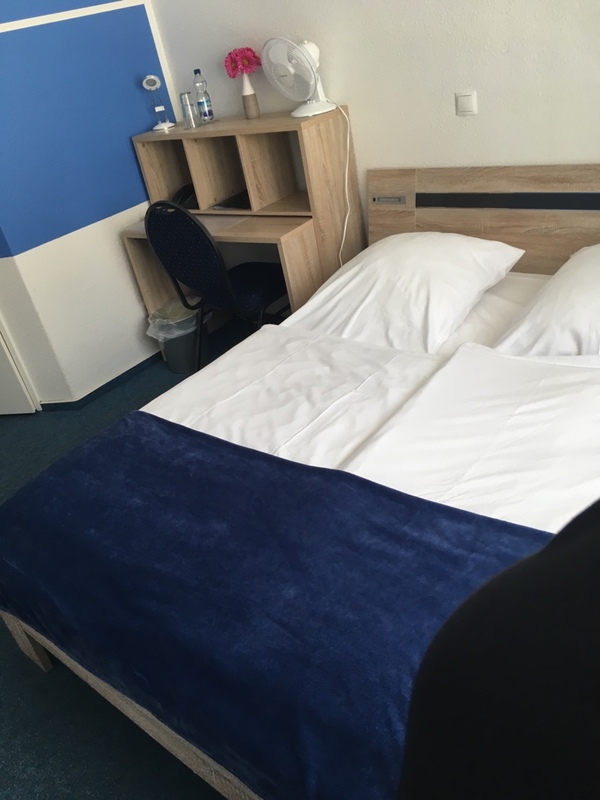 You would prefer a double room with seperate beds? 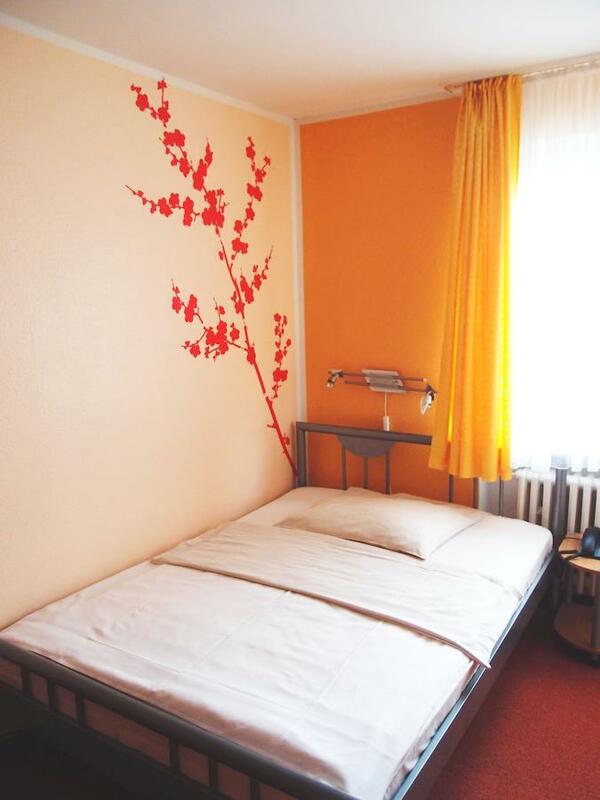 – Our spacious twin room are perfect for you! And of course this applies to our breakfast as well! Glutenfree rolls, soy-milk or decaffeinated coffee? we offer you a variety of perfect food designed for your needs! - Everything to give you just the right start! One room is not enough for you? You would like to make yourself some dinner or you simply prefer a further room apart from your bedroom? 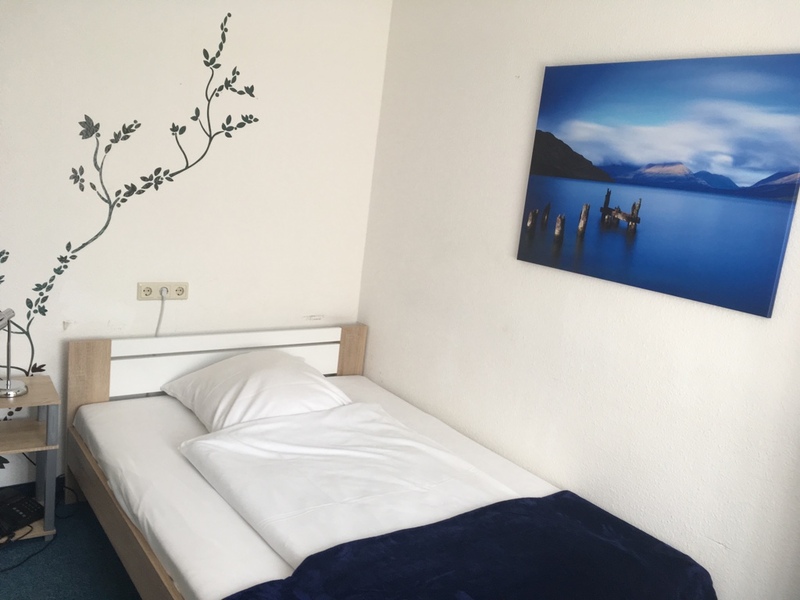 You plan a longer stay in Bonn? 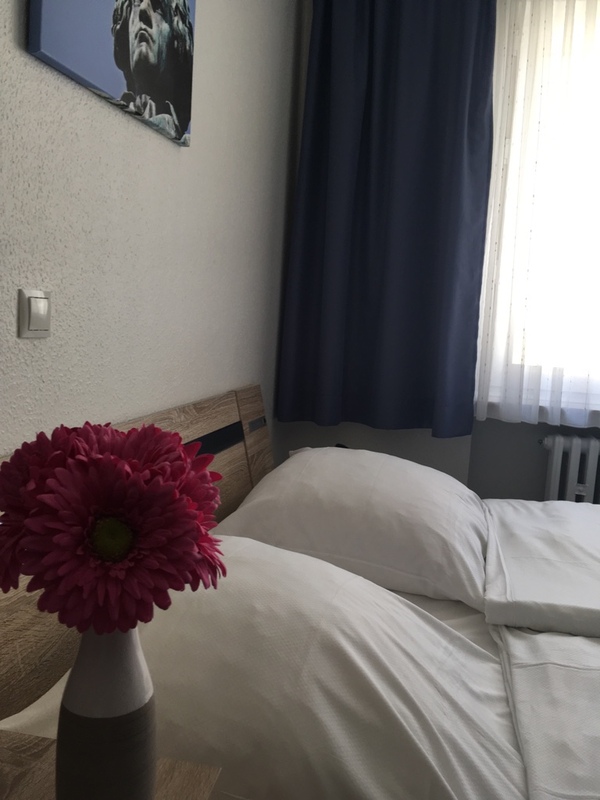 In our 25m² big Basic Apartements you will find – along with a bed- and bathroom – a small kitchenette with a stove, a fridge, a microwave and further small appliances, which give you the possibility to feed yourself. 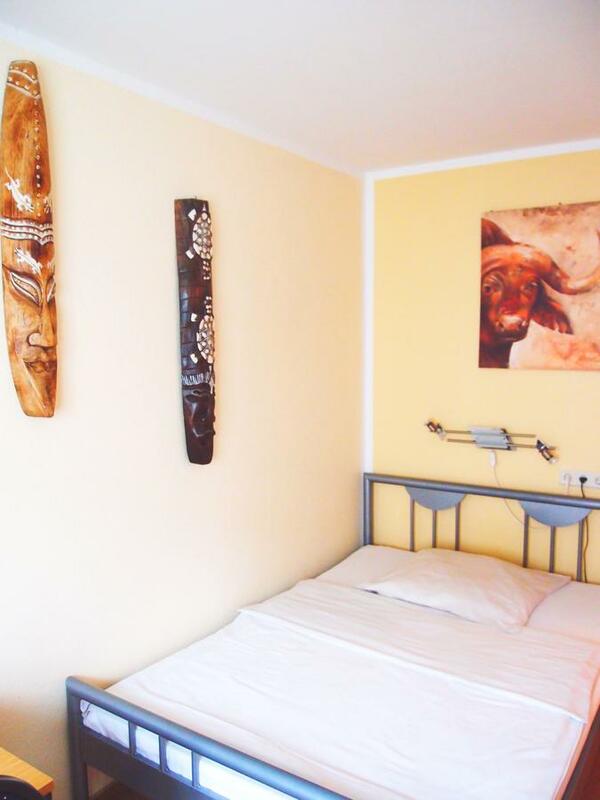 Our 50m² Comfort Apartements are equipped with two or three rooms, a seperate, comepletely furnished kitchen as well as a bathroom and a hallway. The master’s bedroom with a double bed is facing the quiet backyard and garantees you a good night sleep. 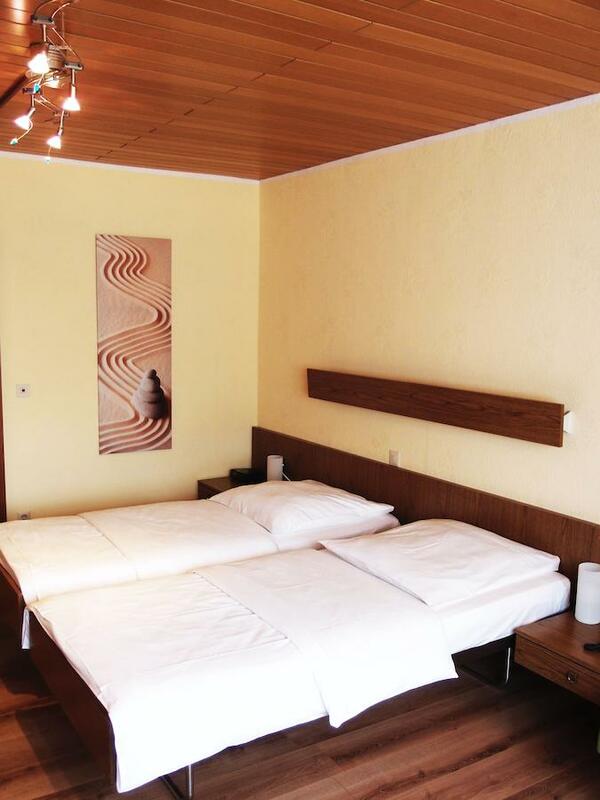 The living-room is equipped with a further bed or sofa bed and guarantees two people their prviacy. There you will also find a dining table and a couch as well as storage place for your belongings. Additionally, when you are a guest of any of our apartements, you are welcome to use our free service of breakfast and start the day in style.